Ethiopia is high among the enemies of the Press. Reeyot Alemu is in jail on cooked up charges. 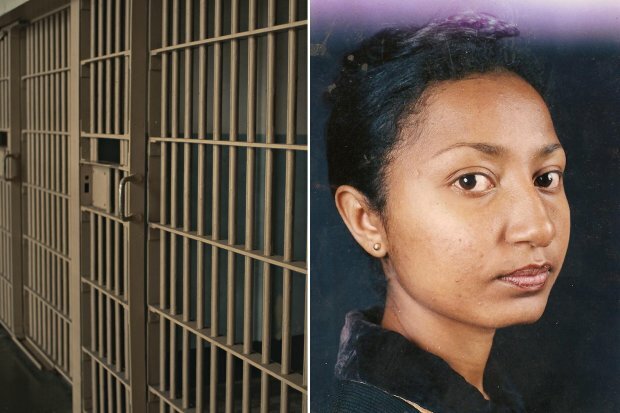 She is languishing behind the bars of a notoriously brutal prison, but Ethiopian journalist Reeyot Alemu has not been forgotten. This year, she was honored with the 2013 UNESCO–Guillermo Cano World Press Freedom Prize. In announcing the prize, the jury hailed her “exceptional courage, resistance and commitment to freedom of expression.” But no amount of international awards and public outcry have succeeded in gaining her freedom—and her medical condition is reportedly deteriorating. After recently undergoing surgery for a breast tumor, she was immediately sent back to the Kality Prison with no downtime for recovery, according to reports. Last year, the International Women’s Media Foundation bestowed a Courage in Journalism Award on Alemu in absentia for her “refusal to self-censor in a place where that practice in standard, and her unwillingness to apologize for truth-telling, even though contrition could win her freedom.” At the ceremony, the presenters read a note from Alemu that had been smuggled out of prison. “For EPRDF [Ethiopia’s ruling party], journalists must be propaganda machines,” she wrote. Alemu worked, among other roles, as a columnist for the weekly independent paper Feteh, which was later shuttered by the government. Four days before her arrest, Alemu had written a scathing critique of the ruling political party’s fundraising methods for a national dam project, and had apparently drawn parallels between late Libyan despot Muammar Gaddafi and Ethiopia’s then-Prime Minister, Meles Zenawi. On June 21, 2011, Alemu was seized from the high-school English class she taught, and placed under arrest, with reportedly no information about why she was being detained alongside another journalist and two politicians. Her outspoken criticism on political and social issues was not viewed lightly by the government, which has been notoriously suppressive of the press for decades. In 2012, the Committee to Protect Journalists named Ethiopia as one of the ten countries where press freedom suffered most. “The group was caught while plotting to sabotage electricity and telephone lines in an attempt to wreak havoc in the country,” the assistant commissioner police chief claimed. The government reportedly used Alemu’s articles and a recorded phone call about a peaceful protest as evidence to charge her under a vague 2009 Anti-Terrorism Proclamation. She was sentenced to 14 years behind bars. A year later, the sentence was commuted to five years, and an appeals court dropped two of three charges, with the promotion of “terrorist activity” as the last charge standing. Similar charges have been used against multiple journalists in Ethiopia over the past few years, including two Swedes sentenced to 11 years (but later released) for reporting on rebel groups. During three months of pretrial detention, Alemu reportedly had no access to legal counsel. “She looked fragile but she is a survivor,” said one of the Swedish journalists, of the last time he saw Alemu, in August. She is being held alongside blogger Eskinder Nega and young politicians Andualem Aragie and Natinael Mekonnen. Many other journalists have passed through the notorious prison. Alemu, refusing offers of clemency in exchange for providing information on other journalists, was punished with nearly two weeks in solitary confinement. On January 8th, an Ethiopian court upheld her five-year conviction. A few days earlier, renowned American journalists Christiane Amanpour and Cynthia McFadden wrote an open letter condemning her treatment and pleading for Alemu’s release. Press under attack in UK? Posted on 15th November 2013 by newsafrica. This entry was posted in Africa, Ethiopia, Headlines and tagged Africa, Alemu, Committee to Protect Journalists, Cynthia McFadden, Ethiopia, Feteh, Governance, Headlines, International Women's Media Foundation, Journalism, Leadership, Meles Zenawi, Press Repression, Rights Abuse. Bookmark the permalink.